WINGS magazine’s annual Top 20 Under 40 program, sponsored by the Seneca School of Aviation, recognizes exceptional young leaders influencing the direction of Canadian aviation and aerospace. Last year's diverse group of recipients represent the range of career opportunities available through their innovation and vision, corporate development, entrepreneurial leadership and pure passion for the vast world of aerospace. Bhalla, age 32, joined World Fuel Services Corp. as a sales executive in late 2016, after that company acquired the aviation fuels business of Imperial Oil in Canada. World Fuel manages more than 7.3 billion gallons annually in the worldwide aviation sector, its largest revenue-generator over land and marine operations, which equates to dealing with some 3,000 airports, 15,000 customers and more than 3.2 million annual transactions. Beginning with Imperial, Bhalla has been in the aviation fuels business for more than 10 years. In July 2017, she was named as WFS’s aviation sales lead for Canada. Brunnenmeir, age 36, started Flightpath Charter Airways with a Piper Navajo back in 2006 at the Region of Waterloo International Airport (YKF), in Breslau, Ontario. Today, Flightpath has expanded to hold more than 15 different private jets and turboprops. A graduate of Western University’s Commercial Aviation Management program, Brunnenmeir gained his first professional experience working in the banking industry for three years before becoming a fight instructor at the Waterloo Wellington Flight Centre. A year later, he founded Flightpath to combine his passions for business and aviation. Brunnenmeir is an active member of the CBAA and NBAA. Cook, age 36, as a marshaller with Signature Flight Support’s location at the Toronto Pearson International Airport, is responsible for directing aircraft traffic on one of the company’s busiest ramps. Cook was elected as chief union shop steward, Local 2413, in January of 2017. As a result, he became an integral part of the bigger operations picture at Signature Toronto. His interest in aviation began at a young age, receiving his recreational solo pilot permit at age 14. Today, Cook is the youngest lifetime sustaining member of the Brampton Flying Club where he bases his Cessna 172. Cosgrove, age 31, formed the Cargo Customer Relations department to resolve customer issues, globally. He developed the policies, procedures and compensation framework for the department. Cosgrove also manages all media escalations for Cargo, including social media and traditional media outlets. He began his career at Air Canada as a temporary flight attendant. Throughout the summer, he would fly for the company as a trilingual (English, French and Italian) flight attendant. In the fall, he would return to school to complete his B.A and B.Ed degrees at Trent University and Queen’s University, respectively. Hunt, age 33, has played a major role at Apron Fuel Services, including supplying de-icing fluid to many key Canadian airports like Toronto Pearson (YYZ), Kelowna (YLW), Hamilton (YHM), and Whitehorse (YXY). Hunt is also responsible for ensuring all major airports maintain a supply of ground fuel. Apron appointed Hunt as VP in August 2017, after he spent more than two years as the company’s director of business development. Hunt holds a Bachelor Science degree from McGill University. Kennedy, age 37, has been in Canada’s aviation industry since 2002. After becoming an assistant chief pilot in 2013, she moved to Fast Air in 2016 to serve as its chief pilot. Founded in 1995, Fast Air today holds Manitoba’s largest charter fleet of turboprop, rotary wing and business jet aircraft (20 aircraft in total) operating out of a private terminal at the Winnipeg Richardson International Airport. Kennedy is current on the Hawker 800, King Air 200 and 350 aircraft, while also providing expertise as an Approved Check Pilot. In this capacity, and serving as chief pilot, she ensures that the training standards for up to 40 pilots is managed and maintained to meet Fast Air’s standards. Kiely, age 33, after graduating from the Commercial Aviation Management program at the University of Western Ontario, gained key industry experience working in operations for Sunwing Airlines, Image Air Charter, Flightexec, and New United Goderich. These positions exposed him to both the structured airline world, as well as the often more frenetic pace of the business aviation sector. Drawing on his previous experience in the executive jet charter world, Kiely is now also directing efforts toward his startup enterprise called Crimson Air Services. Kleywegt, age 38, is the founder of AirSuite and the lead developer of its flagship product, Cirro, described as flight management software to meet the needs of an entire aviation operation. Kleywegt is a helicopter pilot with 5,000 hours of flight experience. A self-taught software developer, he began developing these skills for an in-house solution for a local helicopter company. The newest development feature in Cirro is the roll out of a complete Safety Management System, fully customizable and embedded into Cirro. Lieutenant-Colonel Kutryk, age 36, was raised on a cattle farm in eastern Alberta and in July 2017 became one of two recruits selected by the Canadian Space Agency to become an astronaut, only the country’s fourth such recruitment process that happens approximately every seven years. Kutryk previously served as a test pilot, fighter pilot and engineer in the Royal Canadian Air Force. He holds a bachelor’s degree in mechanical engineering; master’s in space studies; master’s in flight test engineering; and master’s in defence studies. His certifications include airline transport pilot licence, fixed wing experimental test pilot, fighter pilot, civilian and military instructor pilot. He has more than 2,800 hours of flying experience on more than 25 aircraft types. Prior to joining the Canadian space program, Kutryk worked as an experimental test pilot and a fighter pilot in Cold Lake, AB, where he led the unit responsible for the operational flight-testing of fighter aircraft in Canada. Laforest, age 35, was responsible for the integration of the Airbus-CSeries joint venture. The transaction was one of the largest in North American aviation history. Laforest joined Bombardier in 2008 as part of the strategy and product development team for the chief engineer of Bombardier Aerospace. In 2010, she was transferred to Berlin, Germany, to join the Corporate Audit and Risk Management unit of Bombardier. Laforest returned to Bombardier’s corporate office in Montreal in late 2016, working on various strategic projects in close collaboration with Bombardier’s CEO and the executive committee. Mann, age 30, is a third-generation pilot who has been a member of the Canadian Owners & Pilots Association (COPA) before starting to fly. He joined COPA’s staff in January 2017, after growing his career in Ottawa and Vancouver in various communications roles for governmental and political office. As part of COPA’s partnership with Transport Canada in the General Aviation (GA) Safety Campaign, Mann now plays a key role in the planning of new initiatives. He works closely with organizations like NAV Canada, provincial aviation councils, and with local COPA chapters. Marcoux, age 30, has spent nine years building her aviation career with KF Aerospace, currently serving as assistant chief flying instructor for Grob Operations within the organization’s Defense Programs division. She helps manage the flight training for approximately 200 student pilots and navigators annually for the Royal Canadian Air Force (RCAF), based in Southport, Manitoba. McCallum, age 36, began her aviation career as a reservations agent in 2004 at Skyward Aviation in Thompson, MB. She then became a Metro first officer with Perimeter Aviation in 2006 and over the next two years worked her way into the position of Metro captain. In 2014, she joined Transport Canada as a civil aviation inspector, flight operations. In this role she is responsible for: Aviation safety oversight of, and service activities for, individuals, enterprises, organizations, and Minister’s delegates. 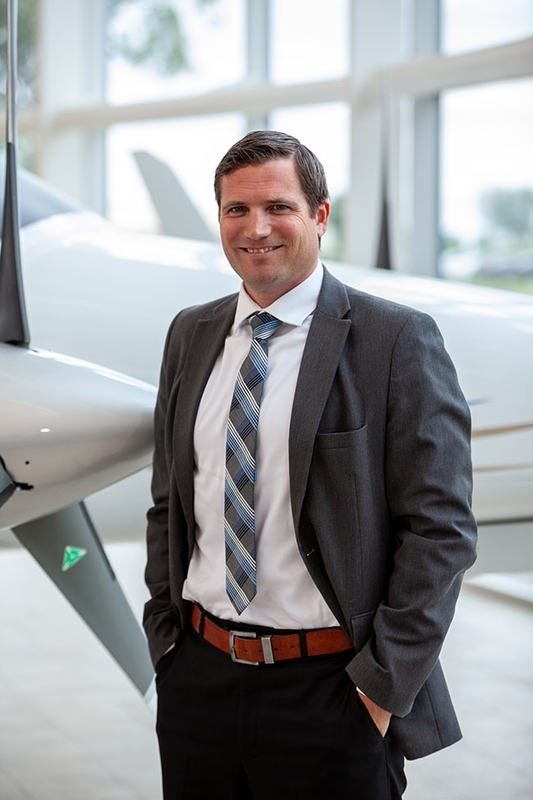 McFadzean, age 37, has spent the past 16 years of his career with the Canadian operation of Diamond Aircraft Industries (DAI), shortly before graduating from the University of Western Ontario’s Bachelor of Administrative and Commercial Studies/Commercial Aviation Management Program in 2003. DAI today is noted as the third largest manufacturer of aircraft for the general aviation sector, with manufacturing facilities in London, Austria and joint venture production lines in other nations like China. Moradi, age 31, earned her undergraduate degree in mechanical engineering from Concordia University in 2010 and launched her career at Rolls Royce Canada in the energy sector. Moradi later joined Pratt & Whitney Canada (P&WC) as an aerodynamicist, where she was involved in all aspects of turbine aerodynamics, from research and airfoil design to engine development and production support. Muir, age 36, oversees a team of sales, marketing and account management professionals at WinAir, which develops aviation management software with hundreds of installations at worldwide aviation organizations – from airlines and heli-ops to law enforcement agencies and oil suppliers. WinAir technology is specifically designed to track and manage aircraft maintenance and inventory control. In 2017, Muir was promoted to his current managerial position at WinAir. Sedra, age 39, spearheads the EASi Montreal Design Centre, which is part of the global recruiting giant Aerotek, and has close to 20 years of experience in the aerospace domain. Sedra holds a bachelor’s degree in mechanical engineering, specializing in thermo-fluids and propulsion, as well as an executive MBA from the John Molson School of Business and a PMP designation. Working with companies like Pratt and Whitney Canada (P&WC), Goodrich and Triumph, Sedra is proficient in electrical hardware, engine certification, EMI, and fuel control design, among other skills. Dr. Sidey-Gibbons, age 29, was born in Calgary and in July 2017 became one of two recruits selected by the Canadian Space Agency (CSA) to become an astronaut, only the country’s fourth such recruitment process that happens approximately every seven years. She relocated to Houston, TX, to start the two-year Astronaut Candidate Training Program at the Johnson Space Center as a member of the 2017 National Aeronautics and Space Administration astronaut class. Welch, age 35, began working with InterVISTAS 12 years ago and is already providing critical support for airline and airline clients in Canada with analytical route and network development services. These projects include airline and airport consulting projects around the world in places like New Zealand, the Caribbean and Africa. Welch is a frequent guest lecturer at the BCIT and actively participates in industry associations like the Airports Council International (ACI) and the British Columbia Aviation Council. Wells, age 31, has been with the Edmonton Flying Club for nine years, including the past five as hief flight instructor. She has also worked with Elevate Aviation for the past three years as one of its first executives. She leads the Elevate Mentorship program, training and connecting mentors from across the country. Wells is a graduate of the Mount Royal University’s aviation program. She holds an airline transport pilot’s license and serves as a Transport Canada pilot examiner.